Sean Rafferty presents top-class live music from some of the world's finest musicians. Today's guests are the Albion Quartet, pianist Andrew Tyson and saxophonist Amy Dickson. Sean Rafferty presents top class live music from some of the world's finest musicians. Today we hear music from the British classical string quartet Albion Quartet who will grace the Wigmore Hall stage on the 24th of this month and pianist Andrew Tyson ahead of his concerts with the Bournemouth Symphony Orchestra in Portsmouth & Poole. 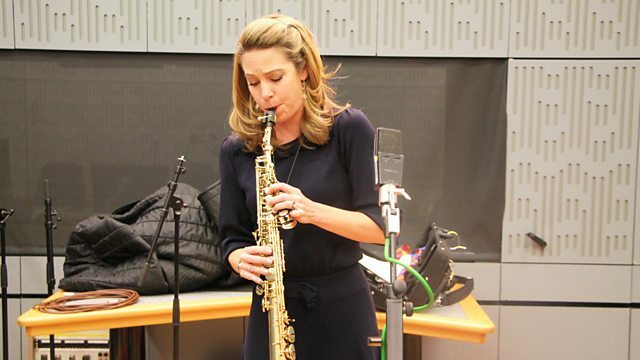 We also meet with saxophonist Amy Dickson who tells us about the ‘Take a Breath’ workshops in primary schools across Perthshire and the forthcoming schools’ concert in Perth Concert Hall. The workshops provide an introduction to classical music and breathing techniques to help children deal with some of the pressures of day-to-day life. Ensemble: Royal Academy of Music. Ensemble: Julliard School Brass. Performer: Bertrand Chamayou. Conductor: Emmanuel Krivine. Orchestra: Orchestre national de France. Performer: Amy Dickson. Performer: Daniel de Borah. Orchestra: Concerto Copenhagen. Choir: DR VokalEnsemblet. Conductor: Lars Ulrik Mortensen. Orchestra: Rotterdam Philharmonic Orchestra. Conductor: Yannick Nézet‐Séguin. Yannick Nezet-Seguin Ravel Rotterdam Phiharmonic Orchestra. Choir: Thomanerchor. Orchestra: Sächsisches Barockorchester. Director: Gotthold Schwarz. Performer: Sebastian Bohren. Orchestra: Royal Liverpool Philharmonic Orchestra. Conductor: Andrew Litton.